BVoIP is a managed service provider (MSP) communications platform for information technology and MSP companies. Its features include cloud-based call center tools, website click-to-dial, call recording and screening, web conferencing, and more. In this article, we cover BVoIP reviews. Ready to get started? Visit its website. As of March 2019, there are not many BVoIP reviews online. If you are a past or current BVoIP customer, leave a review to help others who are deciding whether or not to use the product. The BVoIP pricing details are not available on its website. Prices for programs similar to BVoIP can range from $20/month (for basic software) to $1,000/month (for more advanced applications). Its cloud PBX system includes call center features, web-based administration, and more. Ready to get started with BVoIP? Visit its website. 6 Best Small Business VoIP Phone Service Providers 2019: Choosing a telephone provider affects your day-to-day operations and ongoing costs, but we’ve done much of the research to help you navigate through the range of providers and make an informed decision. Read this article for a comparison of the six best options for VoIP software. Does BVoIP offer a free trial? Yes, it offers a 30-day free trial. However, interested users will need to undergo an initial screening to check whether or not they are eligible for it. 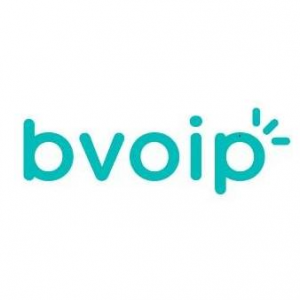 In which countries are BVoIP’s services available? BVoIP offers its services to customers based in the United States, Canada, Australia, Europe, and New Zealand. Have you read these BVoIP reviews and are still not sure if it’s the right fit for you? Read our reviews of all top VoIP software. The platform is strategically built for IT Service Providers so if you are in that business this solution will fit well. There is a strong effort for integration to 3rd party systems, platforms, erp, crm, etc. So if you are looking for that kind of effort this is a good option. Because they are channel only and they sell through partners and don’t sell direct to any business. I wish we knew how deep they went into building integrations sooner because that would have helped closing more accounts.